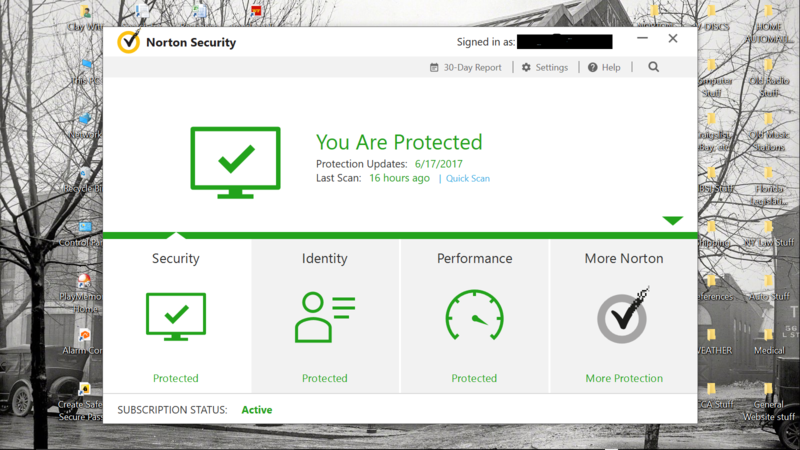 I have the subscription to Norton Core Security Plus that came with my Core pre-order. It is working (after that snafu involving it showing up as expired when it wasn't that everybody was experiencing finally seems to be getting resolved). However backup is not showing up as being available on the control screen. Core Security Plus is supposed to come with 25 gig backup. What's going on? Re: Core Security Plus is not showing backup???? First thing...Please edit your post to remove this image, and edit it to blank out your email address to conform with forum rules. Did you have the backup showing before the subscription snafu? Did you download and install the Core Security Plus software from the email confirmation of your Core order? I had this too. When the subscription thing was going on, I tried to download and reinstall. The file I got from the Norton Core site on 6/11/17 was "NortonNSDownloader" and it did not have the backup after installation. I then used the file I originally had from 1/10/17 which was "NortonNSBUDownlaoder" and that reinstalled with backup. The 1/10/17 file required a lot of live updates, but it works. Check to see if the current Core file is "NS" or "NSBU"
I would be happy to modify the screenshot as you suggest, but as you may know edits are only allowed for an hour here and that has come and gone. I did have backup before. As for the rest, please see my response to Galen below. Thanks Galen. I think you've spotted the issue, although I am not quite sure how to fix it. Both of my Core Security Plus installs are fairly new, one done on my laptop in a futile attempt to correct the expired subscription issue a few weeks ago and the other on my desktop which completely crashed Friday when the Win 10 creators update turned it into a brick forcing a reformat of the hard drive and start over scenario. The procedure was like the one I usually follow when I need a reinstall. That is I log on to my Norton account, go to the listing of my subscriptions, pick the relevant one (Norton Core Security Plus in this instance) and click the big download button there. Doing that gets you a message that Norton Core Security Plus is ready to download, but when following through what you get is the downloader with the NS designation. Apparently there is a coding error on the site that downloads the wrong loader file. I checked the original email I received when I did my pre-order, but it just tells you to go to manage.norton.com and that just kicks me back into my account. There is no link to the correct file there. Garlen, apologies. I just noticed that I had you incorrectly as Galen. As a side note, this is a rather important issue for me. My backup for the computer that the Win 10 update wrecked are hopefully residing on Norton's server. No problem. I have asked a moderator to remove the personal information. Let's see if @Gayathri_R can look into the issue of the download link for the Core Security Plus software.